Once again, it is the Nexus time of the year. This time, Google has left the Gingerbread cookies and, together with Samsung, has brought to us the Galaxy Nexus to deliver the Ice Cream Sandwich. And while a cold dessert is totally out of place this holiday season, the latest release of Android is more relevant than ever. The Galaxy Nexus packs an impressive spec sheet, but it is (yet again) the OS which is the device’s main highlight. After all, Android 4.0 Ice Cream Sandwich is widely expected to put an end to the fragmentation, which currently plagues Google’s mobile platform. Unlike its Nexus S predecessor, which was essentially a rebranded Samsung Galaxy S, the Samsung Galaxy Nexus is a completely different device from the current flagship of the company, the I9100 Galaxy S II. The latest Google phone sports a different GPU and chipset, which are, well, not as powerful as those found inside the Galaxy S II. 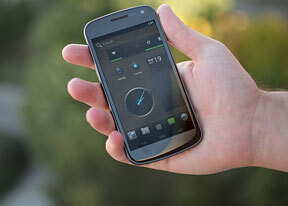 Here is a quick look at what the Samsung Galaxy Nexus has to offer, along with its main disadvantages. A quick look at the key features of the Samsung Galaxy Nexus will show you that the smartphone’s hottest hardware feature is its Super AMOLED screen with HD resolution – a first for a Samsung smartphone. The display combines amazing contrast ratio and superb viewing angles, with eye-popping size and resolution – a perfect match for the spanking new OS on board. As far as the rest of the hardware is concerned, we heavily suspect that Samsung has intentionally omitted a couple of Galaxy S II features such as the microSD card slot and a superior 8MP camera unit. The superior screen of the Galaxy Nexus, while giving it a touch of exclusivity hardware-wise, will not be enough to cannibalize the strong sales, which the I9100 still enjoys. The latest Google phone will be aimed at the Android purists – the crowd, which doesn’t like launchers or UI tweaks. And also the crowd that likes to get the latest OS updates from Google first. In this aspect, the smartphone is entirely in a league of its own. So is the Samsung Galaxy Nexus a proper flagship for the company, or is it simply an Android 4.0 Ice Cream Sandwich flag bearer for Google? This is what we’re trying to find out in this review. We are going to continue next with an unboxing of the smartphone, followed by design and build quality inspection.